Created by The Beehive Design Collective from “The True Cost of Coal” poster. 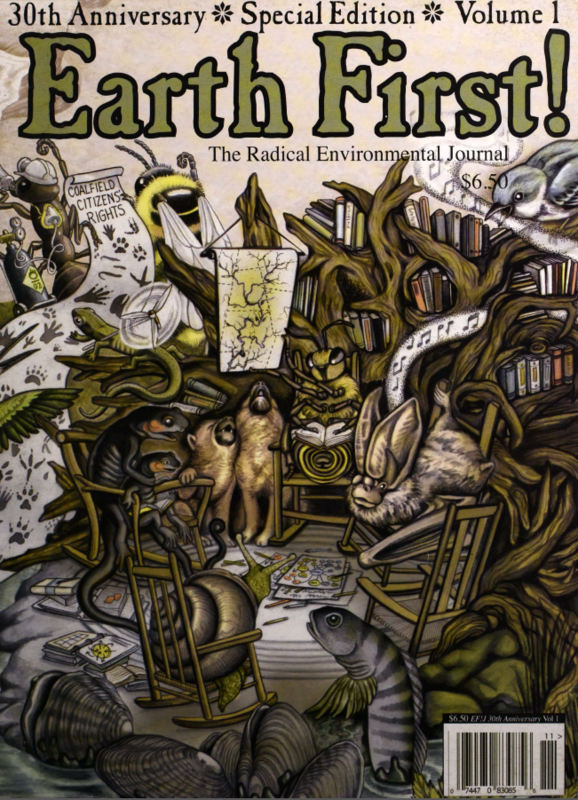 Aguamala, Nettle, Panagioti, Russ, and Sasha, eds., Earth First! 31, no. 1 (1 November 2010). Republished by the Environment & Society Portal, Multimedia Library. http://www.environmentandsociety.org/node/7261. No Compromise in Defense of the Dark Side of the Moon! Wilderness, the biodiversity of life that exists where sexual creativity flourishes is pansexual, polygendered, orgiastic, and playful. The sun engages the soil with titillating light, radiation, chemical explosion and the magnetism of its flaring body in a queer ecology that spreads across the Earth. Abbey, Edward. The Monkey Wrench Gang. New York: Lippincott, 1975.